As of 2017, an estimated 22 million United States residents live in manufactured houses, which make up 10% of all single-family home starts, according to the Manufactured Housing Institute. The outdoor recreation industry had an annual gross economic output of $734 billion in 2016 and accounted for 4.5 million jobs in the US, according to the Bureau of Economic Analysis. Across commercial and residential markets, there’s a substantial demand for commercial & industrial buildings, modular homes, manufactured homes, park model trailers and recreational vehicles. Entering those markets, and reaching local consumers, takes meeting local compliance requirements and testing your products to standards for safety and reliability. 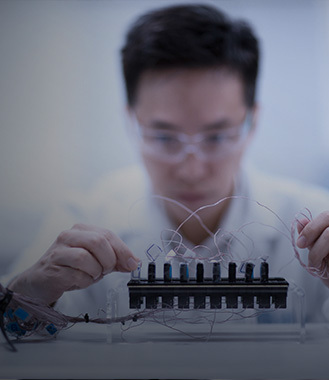 CSA Group offers everything you need to help make that happen—the product evaluation, testing and certification, and standards solutions for your products to gain access to the Canadian market. The demand for your products is growing, for commercial and residential usage alike. Have your commercial and industrial buildings, modular homes, manufactured homes, park model trailers or recreational vehicles tested and certified, inside and out, by the leading experts at CSA Group. Whether you design and produce for residential or commercial buildings, make sure your manufactured homes are tested for compliance with requirements for quality, safety, and reliability by experts that are respected all over the world. With the RV market on the continual rise, give your RVs quick access to new markets and new customers by having CSA Group efficiently perform testing, certification, and standards solutions. You can trust the acceptance of CSA marks because CSA Group is acknowledged by the Occupational Safety and Health Administration (OSHA) as a Nationally Recognized Testing Laboratory (NRTL). 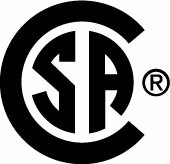 CSA Group tests against a wide range of key standards, including A277 (Procedure for certification of prefabricated buildings, modules, and panels), CSA Z240 MH Series (Manufactured Homes), CSA Z240 RV Series (Recreational vehicles), and Z241 Series (Park model trailers). We offer expert services and custom solutions that help speed your commercial & industrial buildings, modular homes, manufactured homes, park model trailers, and RV products to market while ensuring compliance.